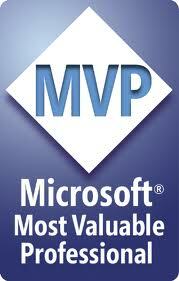 Today, I received in my email from the local MVP lead that I have been awarded MVP for Microsoft Dynamics CRM. This is a key milestone for my career. 2. Thanks to Tokes http://andrewtokeley.net/, my mentor back at Intergen day. Thanks for your relentless nurturing and help in my Intergen days and beyond. 3. Chris Auld http://www.syringe.net.nz/, thanks for taking me under your wings and inspiring me along the way. 4. @TeamIntergen – my last employer, thanks for giving me the great opportunities to work on the most challenging projects there are in New Zealand along with a team of awesome Intergenites. 5. Thanks to folks from local MBS and DPE team: Darryl Burling, Catherine Eibner, Stuart Gibbs, Dirk Develter. 6. Mostly importantly, thanks to everyone in the local Dynamics community, you are the stars!! !